We have multiple refurbished coaches in stock and ready to install any scanner that you desire. Come visit us to see what you can expect! WHY DOESN'T ANYONE PUBLISH THEIR PRICING? 1. Only a fraction of the companies that advertise mobile MRI scanners actually own mobiles! 2. The majority of the companies that advertise mobiles are actually subleasing from someone else, marking them up and then leasing to them you at a higher price! Have you noticed that pictures and specifications of exact systems, such as we offer, are noticeably absent from most of our competitors’ websites? 3. Most of the companies that do own mobiles have inventories of 100 or more systems, covering multiple modalities and multiple manufacturers. Due to their massive overhead, their cost to do business is high, and they therefore need to squeeze every dollar out of every deal. Competitive pricing is not a point that they want to push. 4. Most of the mobiles on the rental market are very old. The stereotype of mobiles being old, dirty and gross are, unfortunately, based in reality. Unless you are renting a scanner that is what OEM is presently selling new, you are going to get a coach that is likely 10-20 years old, and it will look like it too! Because we are a relatively small company, without the name recognition or marketing budget of our larger competitors, we MUST offer the best pricing, and the cleanest, nicest equipment supported by expert engineers, and substantiated by excellent references. Because we own all the equipment that we lease (rather than merely brokering other people’s mobiles), we control the pricing, ensuring that we have the BEST pricing, and can publish our prices and give you precise quotes for the exact systems that we own and control. Because we must have the nicest equipment in order to be competitive, we quite simply do. This is why we publish pictures. This is "starting at" pricing, i.e. long term rentals. We cannot quote interim/short without knowing the number of weeks and location. See below. Sometimes we can offer even better pricing if our inventory is over-stocked! We will always price match! Pricing is determined by costs associated with supplying the equipment (shipping, local service, coils needed). The cost to initiate a very short interim rental includes the cost to ship to you, and the time and expenses of 2-3 days onsite setting up the mobile. When these costs are spread out over many months, they are negligible, but when they must be recovered in a matter of weeks, the rental rates are greatly affected. A 16/18 channel system can cost as much as double the cost of an older 4 channel scanner. Terms of 8-weeks or less can cost 50% - 100% more than an annual term. If we have a lot of mobiles sitting around and running up our electric bill, we're very motivated to get the equipment rented out. All of our mobile rentals include full service, on both the scanner and the coach. It's all covered. From coils to patient lifts, air conditioning to computers, we cover it all with a guaranteed uptime at or better than the OEM. Let’s face it though, when it comes to MRI service engineers, the best of the best are generally not the ones providing the first, on-site response for the OEM. Sure, those guys have been trained, but the best ones are moved to upper level, and not providing first response. Better yet, the 'really' good engineers have left the OEMs and work for independent providers, because they discovered that they could do the job independently, at a better price to the site, and make more money doing it. All of that to say, we do not use OEM service, except for the rare occasions where it is an absolute requirement. Instead, we employ true experts, situated all across the county. You get an immediate response, but not just by a warm body, but by a true expert! Lets take it a step further though - the overwhelming vast majority of "problems" can be "fixed" by simple solution, such as a system reboot. This is why you speak to an expert engineer, on the phone, as soon as you call. Troubleshooting literally begins immediately. When we initially set up your mobile, the engineer that will be providing first on-site response will spend an extra day hanging around and working with the tech(s). We want to make sure that everyone is comfortable with the system, and knows what to do in the truly rare instance when there is a problem. 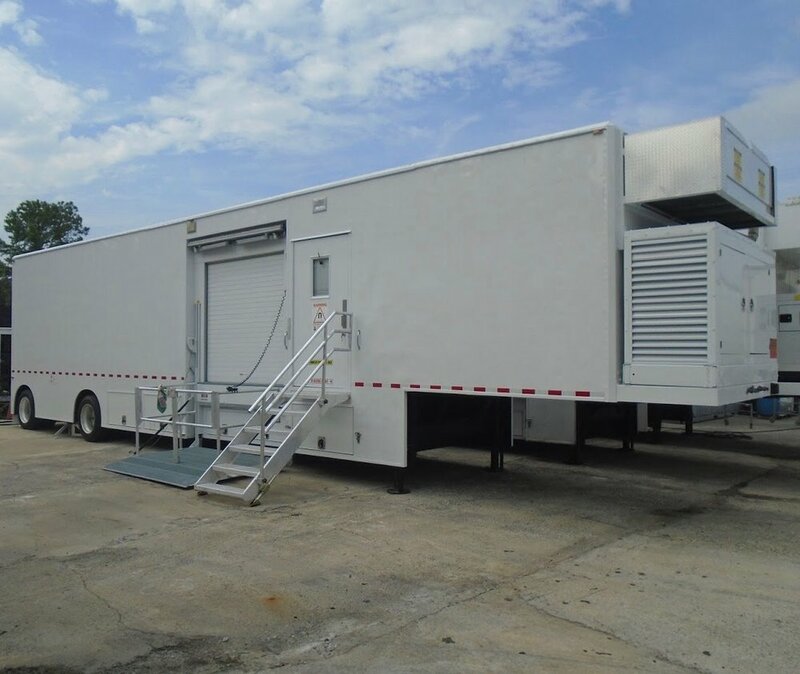 Contact us today to discuss how renting a mobile MRI or mobile CT with Mobile Radiology Services can help you achieve your long term business goals while maintaining high quality patient services.